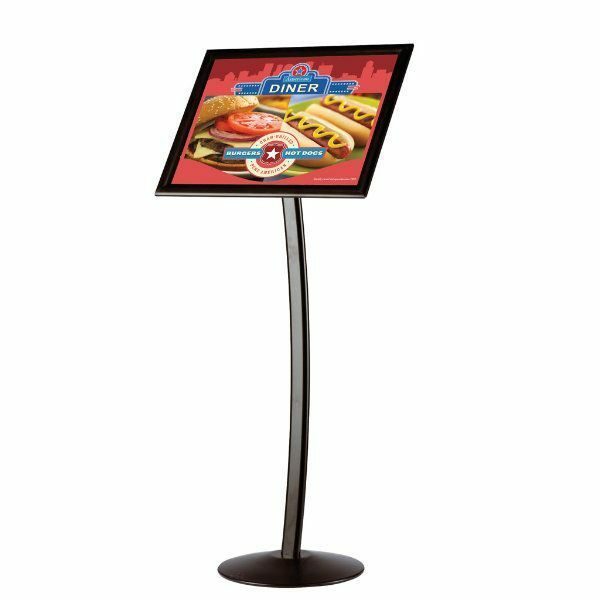 Media Size: 18" x 22"
Viewable Area: 17.29" x 21.29"
This sign stand or graphic holder that is also known as poster holder features a very stylish curved post along with a heavy base and a frame. The frame is black anodized finish and front loading. You can simply open four sides up, insert your poster along and protective cover, then snap shut. Protective cover is non- glare and sent along with the product. 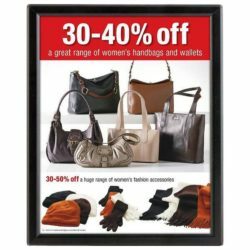 It is to protect your poster from dust and dirt as well as to prevent glairng for a clear view. The tilting mechanism on the back of the frame lets you angle the it. 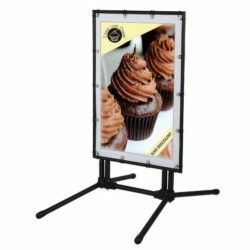 By angling the frame of this poster holder, you can make it easier for your potential customers to read it. 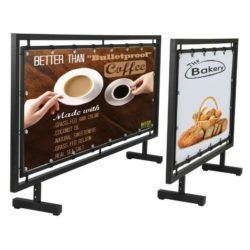 Each graphic holder as black colored has a contemporary look yet very durable for high traffic establishments such lobbies, entrances, halls and lounges. 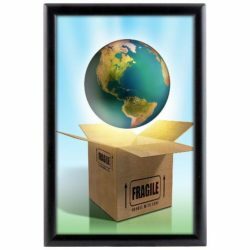 Your 18″w x 22″h size posters will be advertised beautifully with this graphic holder. Had it for a week now and absolutely love it. 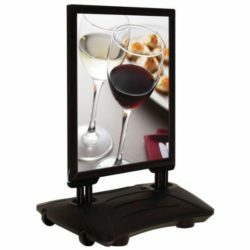 Great for displays!